They wear special sweaters to protect themselves. Therese Vu and her husband, Duc Tran, were loving parents to two inseparable dogs for 16 years. When one passed away from kidney failure, the other passed away from the same thing - just one month later. "I literally believe that the second one passed away from a broken heart," Vu told The Dodo. "I can't even put into words how saddened I was to lose them both, and I honestly didn't know if I could open my heart and home up to another dog again." But that all changed when Vu and her husband met Kanga and Roo. 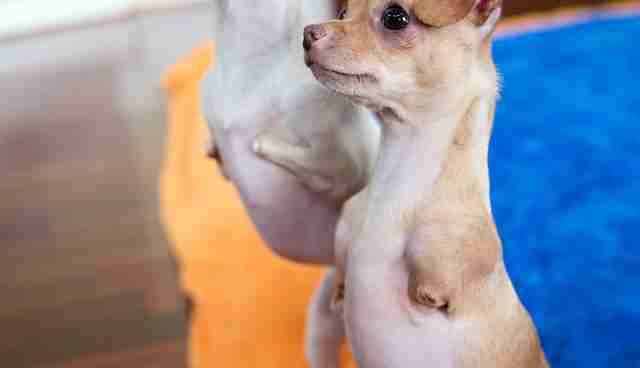 Kanga and Roo are a brother and sister pair who were both born with only two legs, and are products of overbreeding and inbreeding. Their breeder tried to care for them for about a year, but was overwhelmed by their special needs, according to the Georgia-based rescue group Angels Among Us. 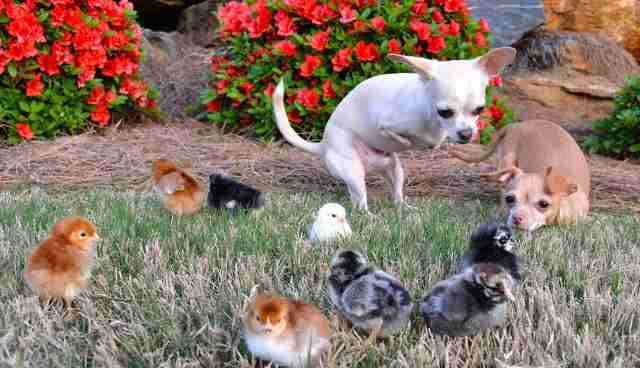 Finally, she decided to surrender the Chihuahua pair to the rescue. 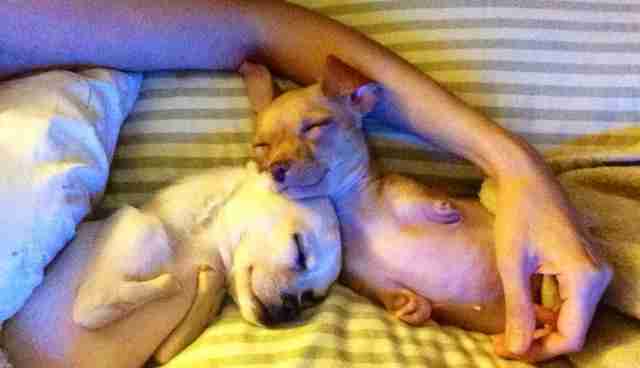 Kanga and Roo were in foster care for several months and attended countless adoption events. During that time, not a single person applied to adopt them - until Vu saw a post about the pair online. "As soon as I saw Kanga and Roo, I just KNEW that they were meant to be ours," Vu said. 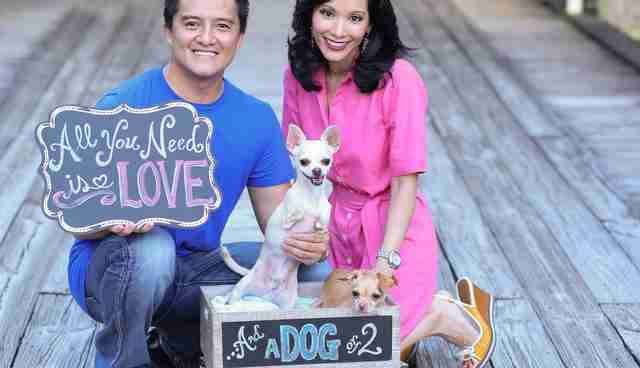 Vu and her husband did research on caring for dogs with special needs, and by the time they met the pups, they were more than ready to be their forever parents. "Within the first few seconds of interacting with them, they captured our hearts, took over our home, and completely changed our world," Vu said. "We adopted them on June 25, 2013, and couldn't image life without them." Kanga and Roo adjusted to their new home with ease. Their parents even covered the floors of their home with blankets and mats to make it easier for the duo to scoot around. 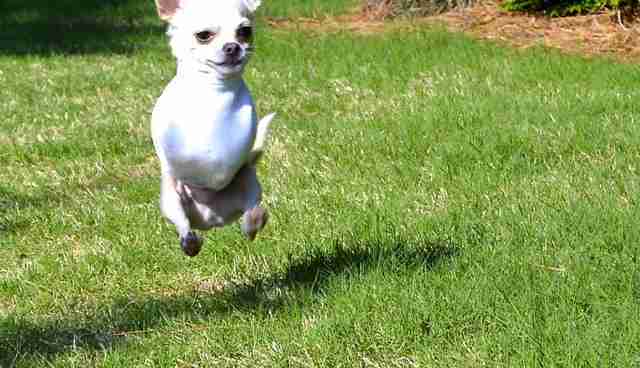 The now 5-year-old dogs grew up only having two legs each, and grew used to finding creative ways to get around. 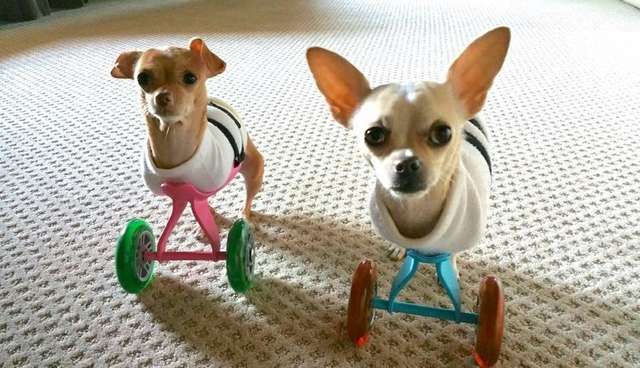 They're both super fast at scooting or hopping, and seem to prefer that to using the wheelchairs their parents had specially made for them. "Everywhere that they walk indoors is padded/soft," Vu said. "In addition to that, we wanted to find a solution for when we took them outdoors." Coincidentally, the couple has a good friend who works with human prosthetics, and helped create sweaters for Kanga and Roo out of the same material amputee patients wear before putting on a prosthetic limb. The sweaters help prevent the dogs' bellies from getting irritated or infected from scooting along the floor, and as a plus, also make them look super cute. "We were so thrilled with how much this has helped them that we began offering the sweaters to dog owners around the world with fellow two-legged dogs," Vu said. "We send the sweaters completely free of charge, and have shipped them all over the U.S. and even the world." 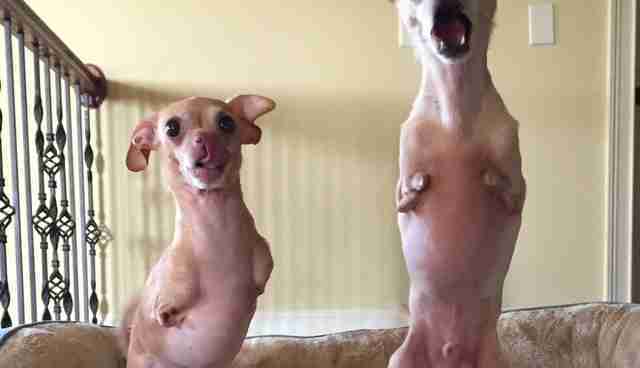 Kanga and Roo are the sweetest, most loving dogs, and seem to have absolutely no idea that they're any different at all - especially since they're both missing two legs. They have no trouble getting around, and spend absolutely every second hanging out together. These dogs have truly changed their parents lives, and of course, the lives of absolutely everyone they meet. "It is upsetting whenever people see differently-abled dogs and think they should just be put down," Vu said. "I would challenge anyone who feels that way to spend two minutes with Kanga and Roo. That's all it would take for them to realize just how happy, energetic, lovable and ABLE that they truly are." You can follow this pair and all of their adventures on their Facebook page.